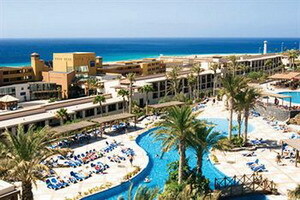 The Barcelo Jandia Mar is an All-Inclusive resort set 600 metres from Jandia Beach on the south of Fuerteventura island, two kilometres from the resort of Morro Jable. The resort is set in within the second largest golf course on the island, and the resort of Morro Jable is just two kilometres away. 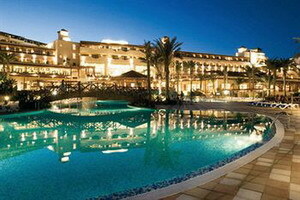 Further afield, Costa Calma and the long sandy beach of Playa Barca are 30 kilometres away. 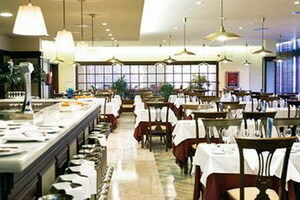 Fuerteventura Airport is 100 kilometres away with an approximate driving time of 90 minutes. The hotel has three restaurants and six bars offering buffet and a la carte dining, snacks, and drinks throughout the day. A bridge spans the four freeform swimming pools, connecting the terraces where guests will find sun beds and parasols. Guests can keep refreshed with drinks and snacks from the poolside snack bar and enjoy activities and entertainment day and night including evening shows, live music and step-aerobics, aqua gym classes, stretching and dance classes. Sports activities include pistol shooting, volleyball, water polo, football and basketball. 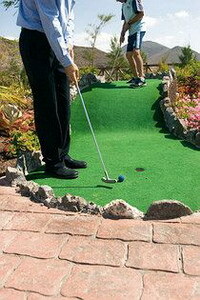 The hotel also has a mini- golf course, and indoor games include table tennis and billiards. 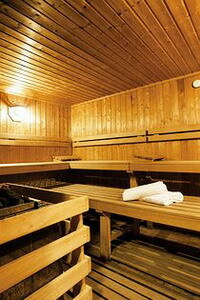 Active guests can work out in the gym and afterwards relax in the sauna and spa tub. Children have their own separate paddling pool, mini-club, children's playroom and garden area with outdoor playground. 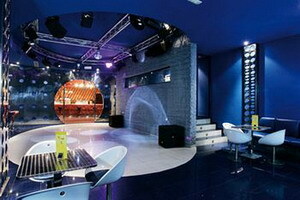 Later on, guests can dance the night away in the discotheque. Practical amenities including laundry facilities, medical services, car rental, currency exchange and free car parking. Room accommodations, buffet breakfast and lunch, and buffet or à la carte dinner, local alcoholic and soft drinks including wine, beer, spirits and champagne, snacks including sandwiches, hamburgers, salads. Activities including water polo, aqua gym, use of indoor and outdoor pools, spa tub, football, basketball, volleyball, mini-golf, fitness centre, sauna, dance classes, stretching aerobics classes. 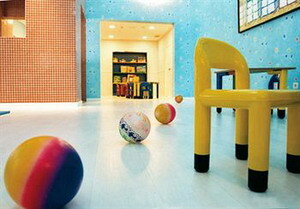 Kids' club for children age 4 to 12 years, children's playroom, playground, children's pool. Daily evening shows and live music, nightclub entry (closed Tuesday and Thursday). Not included: Premium-brand spirits, minibar items, in-room safes, beach water sports, transfers and transport, phone and internet usage, additional purchases. 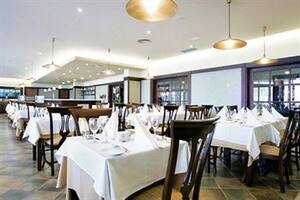 This large complex comprises nine three-storey accommodation blocks with 485 air-conditioned guestrooms. Rooms are decorated in traditional Mediterranean style with white walls, terracotta tiled floors, white linens and dark wood furnishings. All have balconies or terraces and include satellite TV, phones, hairdryers, safes and minibars.